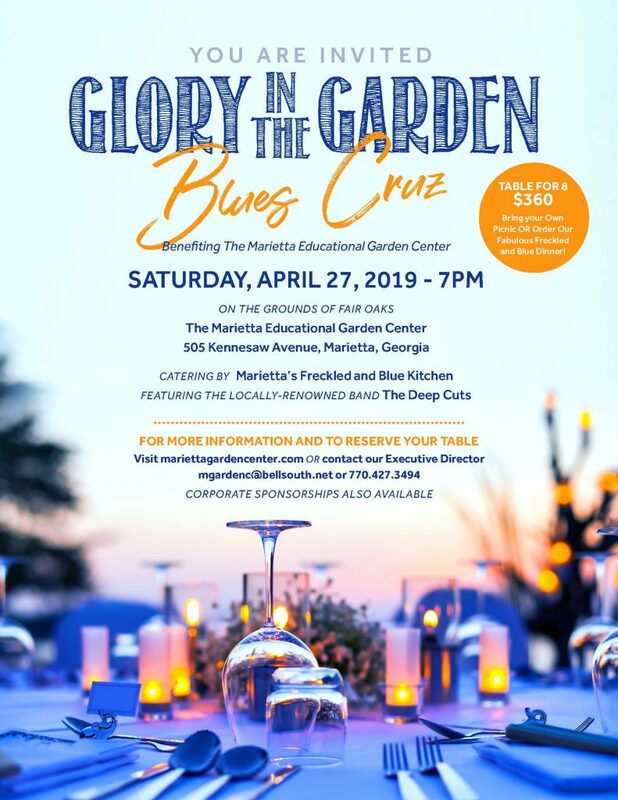 It is not too late to secure your table for this year’s Glory in the Garden – Farm to Table. This event sells out every year so don’t delay in getting your table reserved. Tables are $360 and seat eight people. Gather your friends for this fun and fresh evening featuring the band Simply Southern! They will be showcasing a great play list of classic and contemporary country music. They know how to do it right and will be sure to get everyone up on their feet to dance! If you have boots, wear ‘em! Don’t miss two fun events at the Garden Center on November 29th. They are sure to set your Holiday spirit afire! The Merry Mingle brunch will take place immediately following the Hanging of the Greens. See below for deadlines and details on purchasing a ticket to the Merry Mingle. 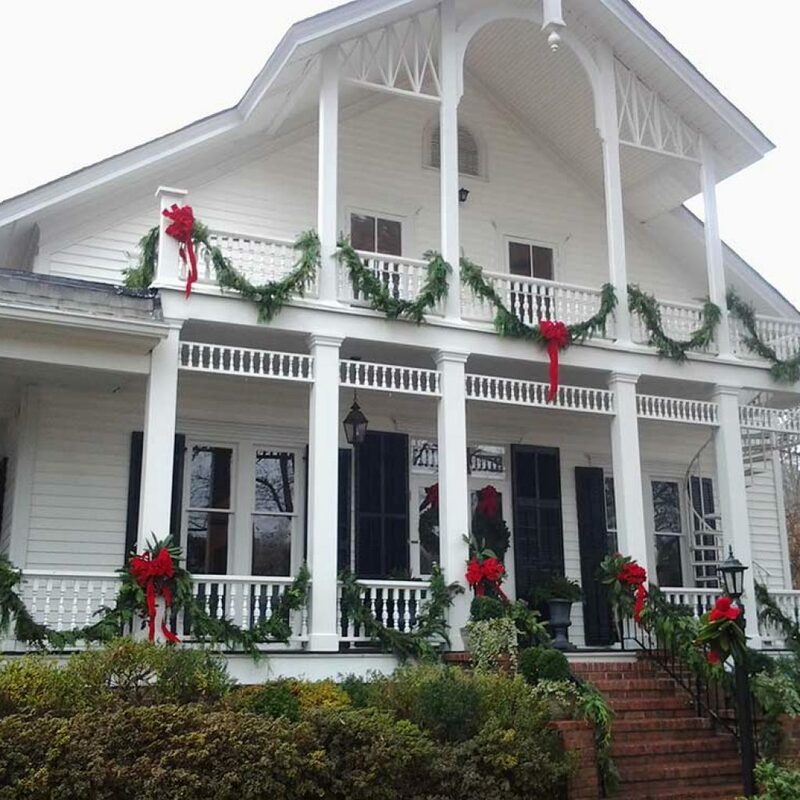 Please join us for our annual “Merry Mingle” hosted by the Marietta Daisies Garden Club. This social event is open to all garden clubs, and we encourage everyone to attend! After we “deck the halls” of the Garden Center with boughs of holly and good cheer…we’ll celebrate with good food and great fellowship! This year’s event will take place at the Garden Center on Wednesday, November 29th at 10 am. Tickets are $25 and include brunch. The final day to RSVP and pay for your ticket is Monday, November 13th. There will be no tickets available at the door. Text or call Debbi Shulte at 404-791-0849 if you have any questions…or to make arrangements to purchase your ticket. Now in its 5th year, Pansy Palooza is back as the way to make your yard pretty for the Fall planting season. Southern gardeners know that the secret to a beautiful garden in the Spring is to plant pansies and violas in the Fall. Don’t settle for store bought plants! Our pansies are ordered direct from a leading grower of quality annuals, Landscape Select. This means that your plants are in the best possible condition and haven’t suffered from over- and under-watering, heat damage and exposure.